Start in child pose(Balasana). Lift up your torso and sit on your heels. Place your elbows in front of you on the ground. To measure the right distance, grab with your hands the opposite elbow. Then without changing the elbows bring your hands together, forming a tripod. Interlock your fingers, only the pinky finger remains leveled, touching the floor, one behind of the other. Then bring the front of the top of your head inside the tripod on the floor with the back of your head touching the inside of the clasped hands. Without moving arms or head lift up your knees straightening your legs, raising your sit bones up. The body weight should be on your elbows. Make your arms strong and stable. Start walking with your feet towards your head, feeling lengthening the spine. Stop when your hips are over your head. Bend your knees bringing heels to the buttocks. Start lengthening the legs towards the ceiling until your torso and legs forms one straight line. 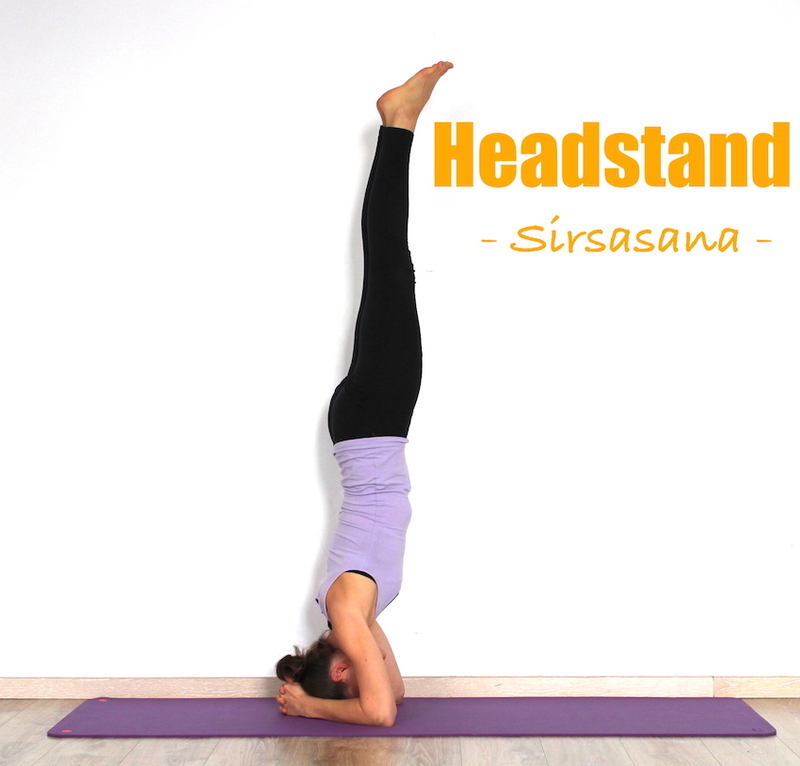 Stay in the headstand for several breaths (or even a few minutes). Then try to come out slowly and controlled, the reverse way as you came in: Bending your knees, lowering down your thighs parallel to the ground and finally bring them towards your chest and your feet back on the ground. Don’t lift up your head. Let it rest as you shift back in child pose. control: never jump into sirsasana you can injure yourself heavily. Control your movements and move step by step into the pose. If it’s enough for your to lift up your heels towards your buttocks, knees close to your chest, stay in the first stadium of the pose. There’s no rush to perform the pose completely. arms: if your arms are not strong enough for the pose, practice dolphin as a preparation!